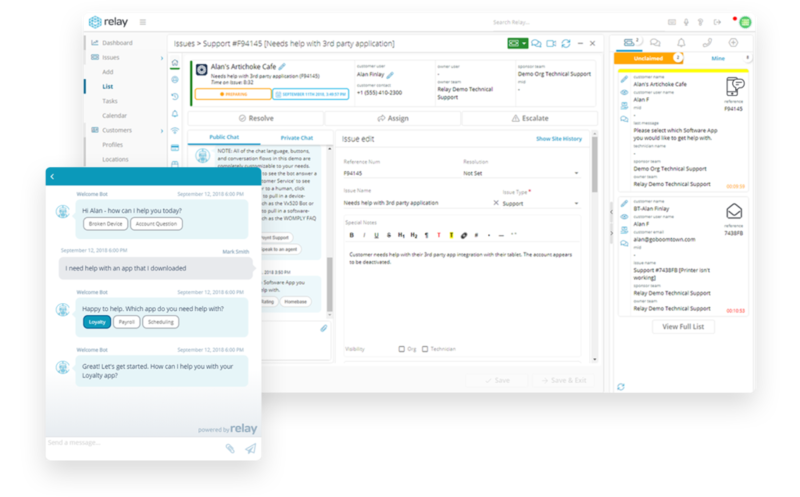 FinancesOnline, a popular and respected B2B software review platform that thousands of businesses rely on to choose their helpdesk software, just completed a comprehensive review of Relay. Take a read through the FinancesOnline Relay review. We’re excited to receive two prominent awards following the comprehensive review: the Rising Star and The Great User Experience awards. FinancesOnline utilizes a unique SmartScore system for its reviews, spanning functionality, collaboration features, customization, integrations, ease of use, general impressions, help and support, security and mobility. They combine these rating factors to rank software products. If you use Relay, head on over to FinancesOnline.com and leave a review for Relay. Want to Give Relay a Try? Go ahead and sign up for a free trial of Relay and let us show you how we can help you streamline your support operations through automation and collaboration.